The official cause of death was “blunt force trauma.” The final report did not rule out an explosion as a possible cause of death, but investigators said a glancing blow from a boat or even another whale could cause a similar injury. Even if military activities were to blame for the death of the young orca, the whale washed up at least 200 miles to the south, where prevailing currents in the ocean were going in the opposite direction. The official conclusion was that the dead animal probably died close to the Columbia River and was pushed northward by the currents. Ken noted at the time that dolphins have been known to support their dead or injured relatives for a few days, but the idea that a whale could be pushed 200 miles or more seemed to be ruled out by the investigators. I remember talking about the incident with Erich Hoyt, a researcher who has been telling stories about whales since the 1970s. The possibilities of what might have happened to L-112 were too easily dismissed, he said. See Water Ways, May 3, 2014. Of course, Erich was talking about Malaysia Airlines Flight MH370, which disappeared in March 2014 with almost no trace. The 500-page final report (PDF 10 mb) on the incident, released last month, closes the investigation without a conclusion, much like the story of L-112. We’re now confronted with Tahlequah, who has captured the attention of people throughout the world for her dedication to her dead baby. (See NOAA’s website for updates.) She has carried the dead calf while managing to stay with her family group. The dead neotate, who lived about 30 minutes, is Tahlequah’s second calf — as far as we know. Her first-born is Notch (J-47), now 8 years old. That gap of eight years since Notch was born makes one wonder if Tahlequah might have had another calf that died before her latest one. If so, how would she have responded to that death? Could her ongoing devotion to her latest calf be a reaction to the loss of two calves in a row? 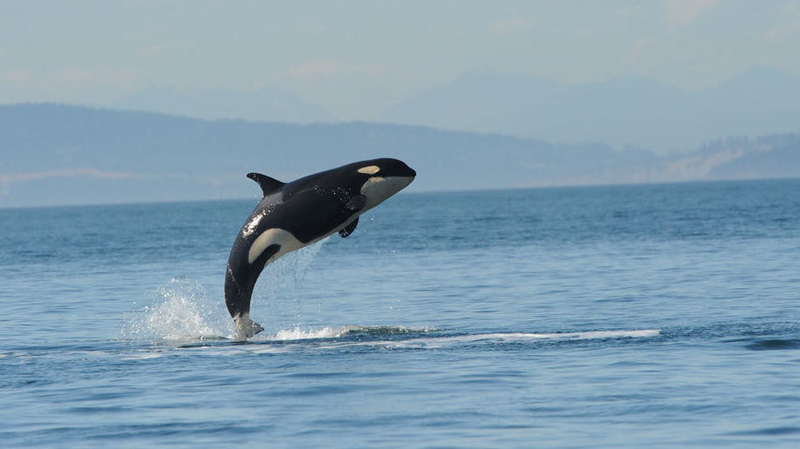 We also believe that our Southern Resident killer whales may be experiencing miscarriages at an alarming rate, thanks to studies by Sam Wasser, director of the Center for Conservation Biology at the University of Washington. As I told Ken, we all know so little about any actual deaths. After not seeing an animal for a time, Ken and the Center for Whale Research will declare it “missing and presumed dead.” Most of the time we don’t know how the whale died or how the relatives grieved before moving on with their lives. I don’t know that anyone will reopen the investigation into the death of L-112, named either Sooke or Victoria. I’ve heard some support for a new discussion in light of recent developments. Ken told me this week that people will need to rethink their positions if they believed it was not possible for a whale to die in Northwest Washington and end up in Southwest Washington with currents running the opposite direction. We now know what one grieving mother is capable of doing. L-112 where she was found dead on the Long Beach Peninsula in 2012. I don’t need to recount all the facts in the case of L-112. The official investigative report (PDF 82.2 mb), which includes a very readable summary, can be found on the website of the National Marine Fisheries Service. Ken’s response (1.1 mb) to the report reveals his viewpoint. I’m listing my ongoing coverage in Water Ways at the bottom of this page. Even if L-112 were “bombed” as Ken once described it, there are other pieces of the puzzle that need to be put into place — such as the location of the whales at the time, the source of the blast, and the effects on L-112’s closest relatives, who would normally be nearby. Is it possible that other military activities occurred and were never reported, or do we now have all the facts we will ever get? Ken, who served as an acoustics technician in the U.S. Navy, has been suspicious of what military officials say since March 2000 when he observed first-hand the deaths of many beaked whales in the Bahamas during Navy exercises with sonar. Ken said the injuries to those whales appeared similar to the head trauma of L-112. It took a month for the Navy to even admit that the Bahaman exercises had taken place, Ken once told me, and it took another two years and much scientific evidence before the Navy acknowledged its role. Check out my reporting of that incident in the Kitsap Sun, first on June 15, 2000, and then on Jan. 1, 2002. “What is clear is that in February 2012 we experienced a sequence of events that should motivate us all to understand the potential risks of generating loud noises, particularly during military activities, in the habitat of marine animals that we value and that rely heavily on sound for their survival. 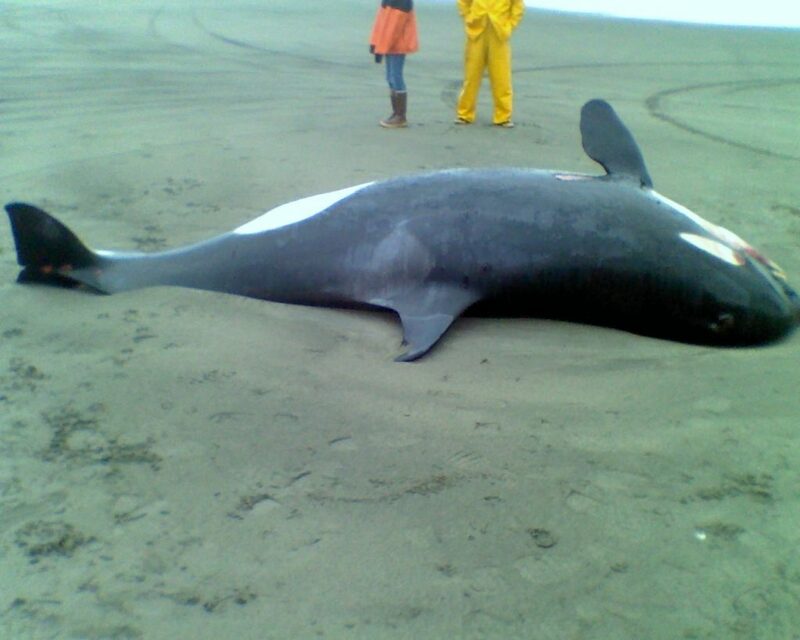 May 16, 2012: Deadly blow to orca: blast or glancing impact?